Hyperflexion and Hyperextension injuries of the cervical spine are termed ‘Whiplash injuries’. The effects of sudden acceleration- deceleration upon the neck and the upper body from a forceful external impact are described as ‘lash like effect’. In other words, the term ‘whiplash’ is used essentially to describe the effect of an external trauma. In essence, ‘whiplash’ describes a joint ‘luxation’ or a joint ‘subluxation’. This trauma causes ‘strain’ or ‘sprain’ injury upon the periarticular soft tissues. ‘Whiplash’ is considered to be an injury of soft tissues from acceleration – deceleration impact. ‘Strain’ is an injury to a ligament or a soft tissue which does not stretch beyond its normal limits of elastic recovery. It is an injury resulting from overuse. No fibres are ruptured. There is some local pain and swelling and possibly a small amount of effusion in to the joint concerned. There is no displacement or instability of joint. ‘Sprain’ is caused by more violent stretching which ruptures some of the fibres of the ligaments or soft tissues. As a result these ruptured tissues may get slightly stretched or lengthened. There is local pain, more swelling and limitation of movement. Usually there is no haemorrhage. But there is some degree of ‘luxation’ or ‘subluxation’. ‘Luxation’ or ‘subluxation’ means de arrangement of opposing joint surfaces. 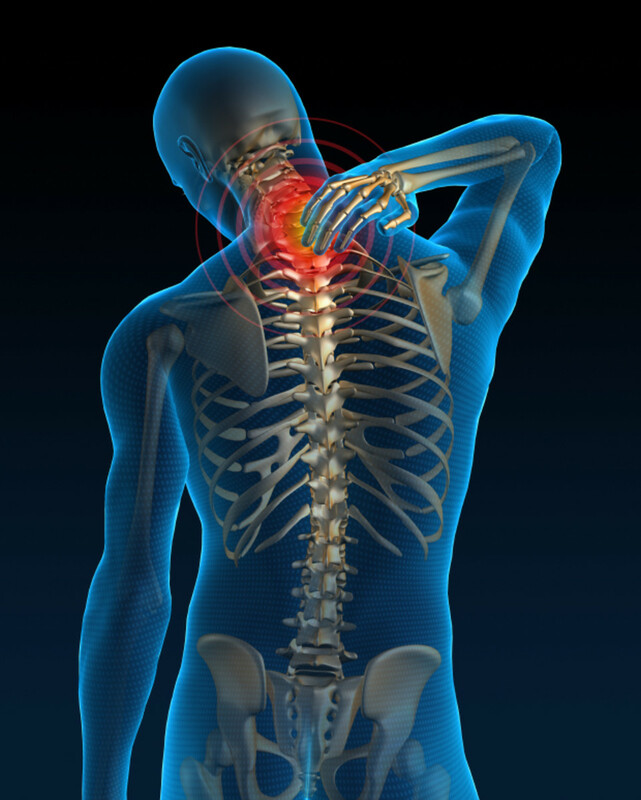 If the ‘whiplash’ injury is severe, it is assumed that there is ‘luxation’ or ‘subluxation’. The outer layers of Intervertebral disc annulus. The capsules of the facet joints. Neck pain – Pain of various description and intensity. 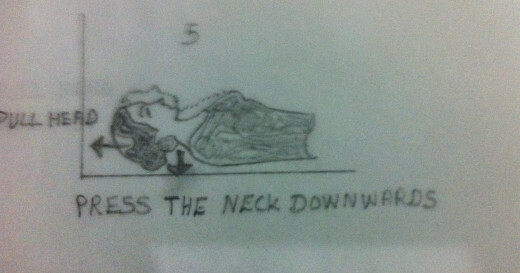 Neck stiffness – Limitation of range of motion of cervical spine. Tenderness – Over the soft tissues around the cervical region. Shoulder pain – Often it radiates down to the inter-scapular region. Treatment must be initiated early, preferably within hours. When the treatment is initiatedone must take into consideration the fact that the external impact has caused soft tissue injuries. There may be inflammation, oedema and possibly microscopic haemorrhage. Immediate rest is indicated. Rest means minimising or avoiding any activity that may aggravate the symptoms. A soft cervical collar made of felt or similar material is used. The collar is narrower in front and supports the chin so that the patient leans upon it, thus keeping the head in a slightly flexed position. The posterior portion of the collar is wider and it helps to prevent the head from going to extension. Prolongeduse of collar is contraindicated. It is to be noted that within one week of use the collar becomes addictive and the feeling of dependency on it will prevail. Prolonged use of cervical collar may lead to the weakening of the neck muscles and limitation of range of motion of neck. Hence a careful and judicious use of cervical collar is very important. Decreases pain – analgesic effect. Relieves muscular spasm – decreases pain. Decreases blood vessel dilatation – but increases arterial blood supply in the deep tissues. Intervenes upon the formation of histamine like by-products. Diminishes the formation of oedema. Causes vasodilatation and increases blood supply. It helps in washing out the accumulating toxins and hence speeds up the healing process. It prevents the unwanted binding of the intersecting collagen fibres of the capsules that may lead to contracture. 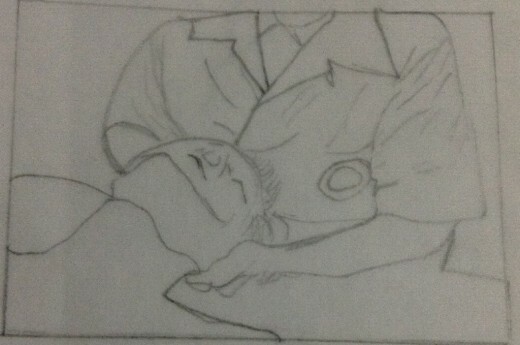 It is sedative and soothing. Electrotherapy modalities like Short Wave Diathermy (SWD), Ultra Sound Therapy (UST), Transcutaneous Electrical Nerve Stimulator (TENS),Infra Red Radiation (IRR) etc. are also highly beneficial. Medicines are given mainly to relieve the symptoms. Oral steroids, Epidural Steroids, Anti - inflammatory muscle relaxants are very helpful. 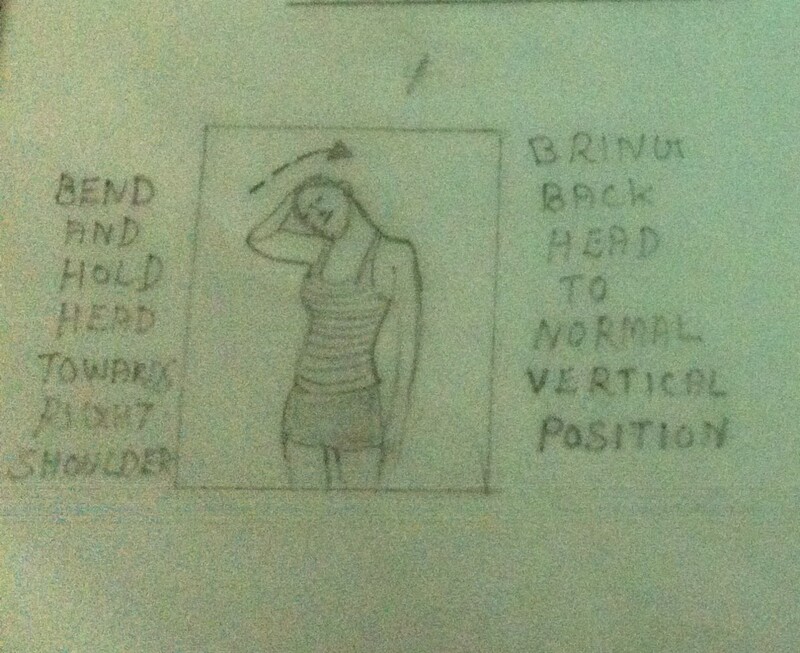 Once the acute stage has subsided, mobilization of the cervical spine is indicated. Active and carefully guided passive range of motion is indicated. Forceful manipulation must be avoided at any cost. Manipulation can only cause further tissue damage and injury and hence it must be avoided. When mobilization is done, it must be done in a direction away from pain or restriction rather than from the painful and limited directions. It must be remembered that the aim of mobilization is to regain pain free movement. The mobilization does benefit the impaired functional unit by elongating or stretching the muscles, the fascia, the ligaments and the joint capsules. The exercises are to be of small amplitudes and may be progressed in small graded increments. It may be done 10 times at a time, 4-5 times a day. It is advisable that either ice or hot application may precede the exercise program. The concept of cervical traction is based on the principle of ‘distraction’ of functional units. When the acute phase subsided, the muscle spasm and the joint limitation persist. This leads to contracture of soft tissues. Traction is helpful to overcome the periarticular contractures. Traction may be given either manually or mechanically.Please refer my earlier article on ‘Cervical Traction’. Strengthening Exercise must be followed by exercises to increase the strength of the muscles. Usually the strengthening exercises for the muscles of the cervical spine are done isometrically, though isotonic and active exercises are also of good value. Isometric indicates attaining contraction of the muscles and holding that contraction with no active range of motion. The muscles contract and then relax without causing any movement of the neck. In isotonic exercises, there is contraction of muscles with active movement. 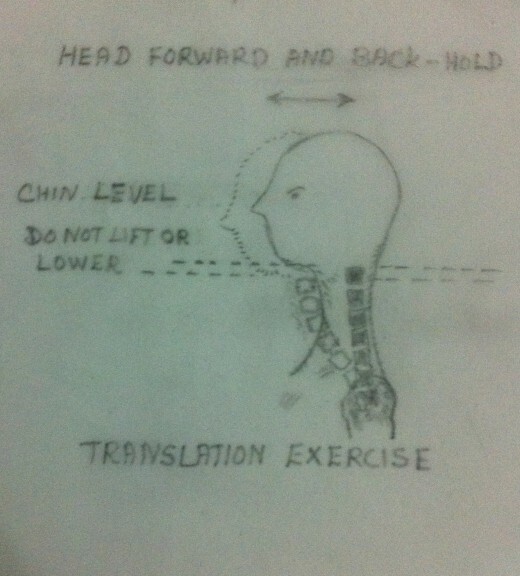 Please refer my earlier article on ‘Strengthening Exercises for Cervical Spine’. A neglected aspect of treating a neck injury is the failure to improve the posture of the individual. This neglect leads to preventing the possibility of its recurrence or the persistence of symptoms. A forward – head or a rounded upper back posture causes an increased lordosis and an excessive weight bearing on the posterior aspect of the cervical spine. The posterior facet joints are compressed and the foramina are narrowed. All these encroach upon the tissues causing pain and impairment. Correcting posture requires conscious effort on the part of the patient. 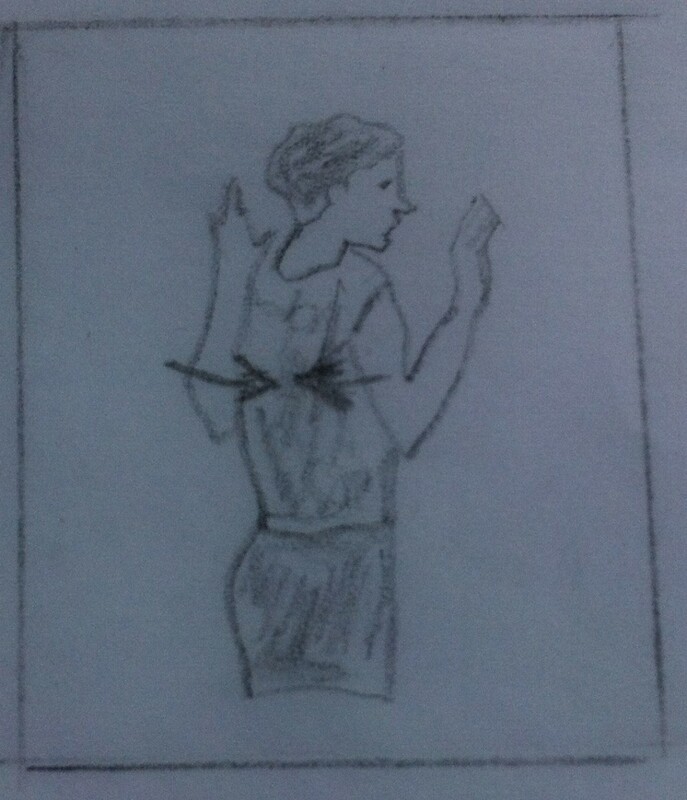 The patient’s concept of good posture may be wrong. Hence modifications of the patient’s concept of the good posture must betaught and daily efforts towards achieving it must be attempted. 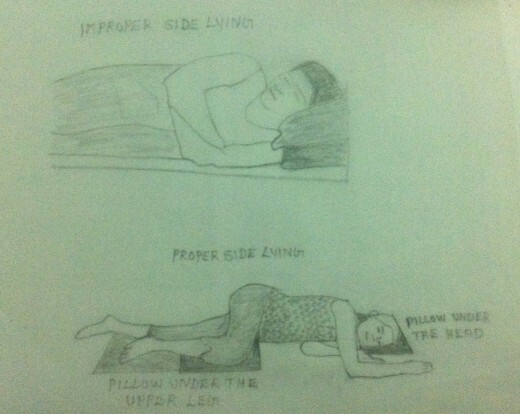 This will result in a good posture as an unconscious habit. There are many exercises that influence the range of motion of the neck and the correct posture. These exercises are basically aimed at improving the flexibility and strength of the cervical spine, trunk and the shoulders. 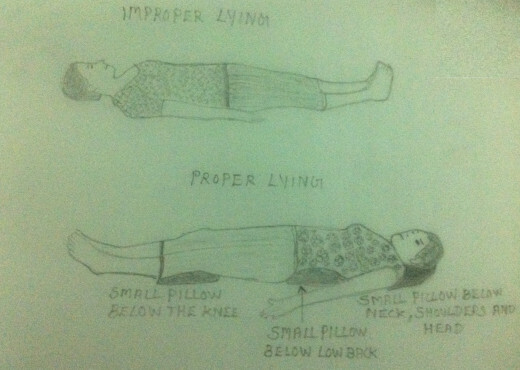 These exercises also help to teach the feel of proper posture. 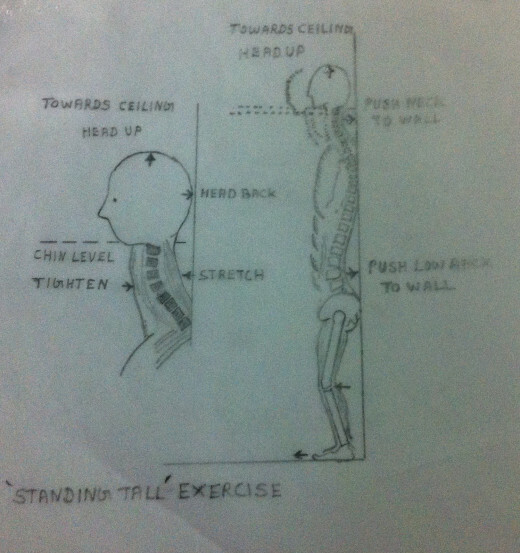 Please refer my earlier article ‘Postural Corrective Exercises’. 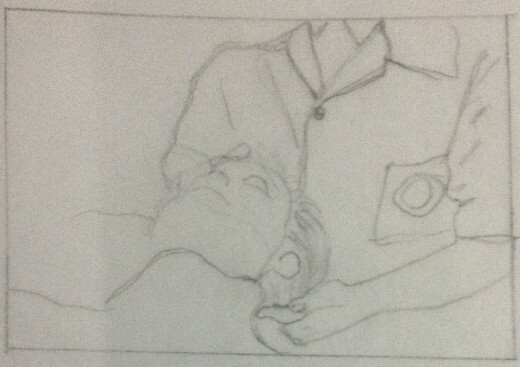 Activities of daily living must be evaluated and modified to avoid any position that can aggravate the patient’s cervical condition or preventing healing after an acute injury. Doing the activities of daily living in the proper way will prevent the recurrence of cervical pain. If these principles are properly and consciously applied and adhered to one could improve function, decrease pain and can prevent recurrence of impairment and disability. Please refer my early article on ‘Daily Neck Care’.